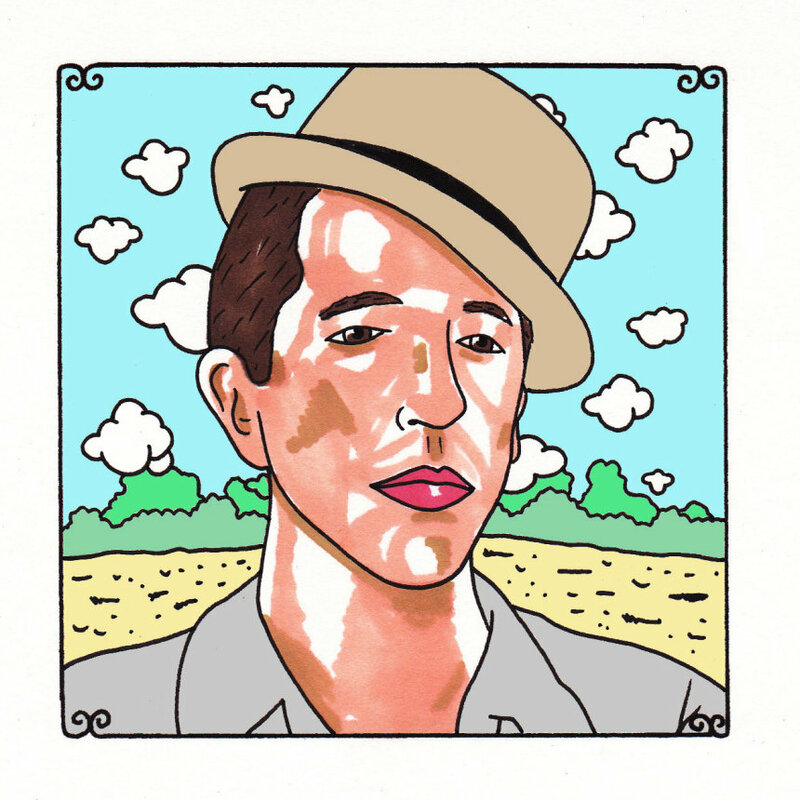 Pokey LaFarge is never home. He won't be there if you try to find him. His place - without having a clue as to what it looks like on the inside or from the outside - probably looks like a ghost house, vacant and dark. He is a young man who doesn't stop moving, traversing this country and that country as if this is the last chance to do so before it all implodes, before we're nothing and the land is less than nothing. LaFarge is one of those buskers-turned-travel-stalwarts, looking the part of an old-timey hobo, but carrying a cell phone and making it all click together with exceptional attention paid to his social pages and his gmail account. Those are the tools to keep the almost homeless and ambitious songwriters on the road and with enough food, booze and cigarettes to not just blow away from hunger and self-punishment. He's a thin man, all bones really, with the air of a southern gentleman and the britches of a farmhand straight off the pages of "Of Mice and Men," or a battalion member of a Civil War regiment, worrying about how he's going to get back to his baby and her momma at home. He smells of a million cigarettes, puffed on one after another, just to pass the time or to serve as severance from the boredom and monotony of the roaring engine and the tiny bumps as tires cruise from one plate of interstate concrete to the next. He's got a rambling Kerouac in his blood, but the words that come out of his mouth when he sings are such pearly and prickly sentiments that seem to be made for the thrumming of a loud and deep stand-up bass, booming in step with them. They take on the qualities of the muddy Mississippi River that he knows too well, giving his songs the sort of feeling of throwing a tube raft into that mighty river and riding it south as one would a watery and powerful bull. His songs give off the essence of being in a rusty pickup truck, heading down a country road with crooked mailboxes poking out of the ditch weeds, looking as if they've taken many a baseball bat to the side of the face and lived to tell of it. They are infused with the soul of that river and might even have twice as much soul, borrowing more from the wrinkled and knowledgeable old men who sick around the diner all morning bellyaching and bullshitting because they've got nothing else pressing to do before it's time for another meal. LaFarge brings us into these situations where the most important matters of all are thrown out there, regarded as screwy and hard to figure out, and then messed with, tinkered with, to see if there's anything that can be done about them. He wonders why a man falls for a woman - what actually makes it happen - and then asks the most appropriate follow-up question, and that is: What makes the woman fall in love with the man who's fallen in love with her? It is just a never-ending quandary, just as the Mississippi never runs out of brown water to give it a body, some consistency and make it move.